Pain. A familiar and infamous concept. In fact, over 1.5 billion people suffer from chronic pain worldwide! That tells me that the “pills” aren’t working. We need to take adifferent approach to healing. And it begins with our movement. neurological, mechanical, structural or muscular? As we explore the “why” of your movement, I will journey with you through the pain. Sometimes trying to beat it, other times learning from it, but always working hand in hand with it. 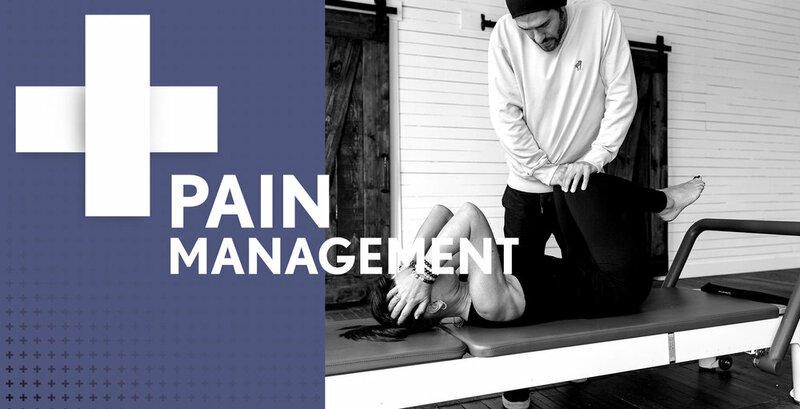 My hope is that as you learn to manage pain, you will also become stronger, move with confidence, and build a mind/body connection. As you’ll see below, pain is also your ticket to growth. “I was referred to Camilo nearly 2 years ago by a friend in the fitness industry. Since then, he has not only strengthened my body, he has also taught me how to move, sit, stand, and live more effectively. The modifications that he offers in strength training have dramatically decreased pain incurred during exercise. In short, he has worked miracles and given me a quality of life that I thought I had lost forever. Pilates at Plus Movimiento is world class and hands down the best studio to go to! Camilo is a very conscientious instructor, who has years of experience, and an innate understanding of movement. He pays meticulous attention to his clients' centering, precision and breath during a practice. Over time, I have acquired sport injuries and other poor posture habits; Camilo has taught me how to start over and move better, feel better, and Increase my athleticism. As a fellow fitness professional, I take Pilates classes from Camilo not only to learn a new skill, but also to simply be a student. Camilo's knowledge of the human body and movement patterns is unsurpassed! I learn so much from him!As an athlete and outdoor enthusiast, his work helps keep me injury free and in alignment both physically and spiritually.. Oh, and did I mention it is fun?!! On the first day of training with Camilo, I realized how well he understands the body, how it moves and how to correct imbalances. Through movement work, weight training, Pilates and some boxing my body has morphed tremendously over the last 2 yrs. I'm stronger, ache less and physically able to manage long work days that are physically gruelling. Camilo takes time to adjust training strategies to correct and progress physical weaknesses. He has a true skill and provides it in a safe and caring space while making it fun. I would recommend and have recommended him to friends and colleagues. He also works with myself and surgeons in training to help correct body alignment issues, a hazard of our work.